Blue blue Bluestone, sawn thermal (smooth) finish, pattern walkway and patio stone. 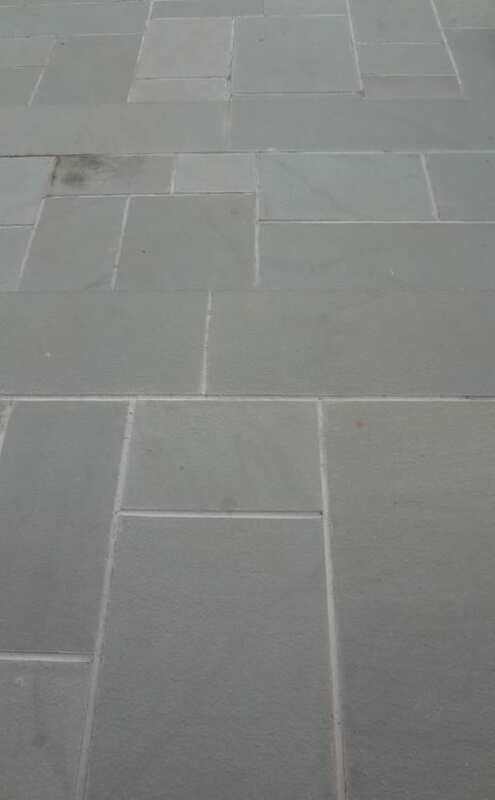 One of the 4 major types of bluestone walkway and patio stones. Blue blue Bluestone features blue-gray tones throughout and a smooth (but not slippery) surface. Blue Blue bluestone pieces are cut to exact dimensions so coverage is dependent on how much you buy. 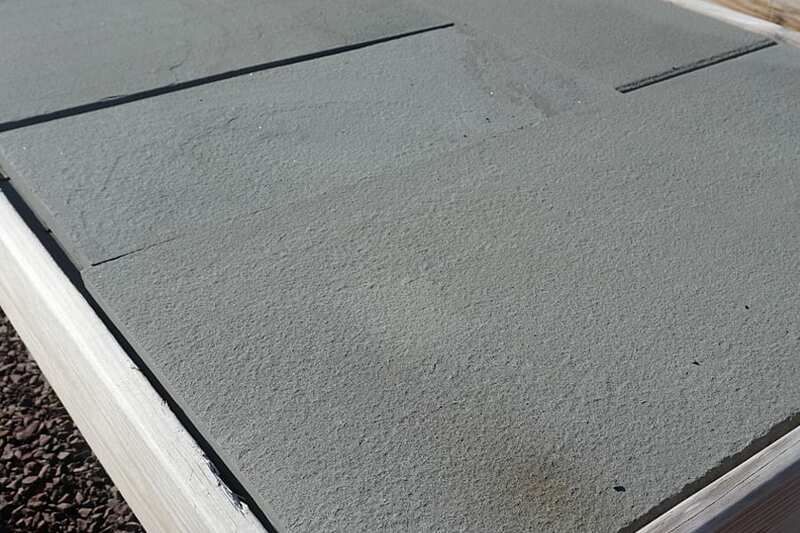 A typical pallet of 1.5" bluestone will cover an average of 180 square feet, a pallet of 1" will cover 220 sq. ft.
Blue Blue bluestone (sometimes called Blue-Blue Color, Blue Color Bluestone) comes in two finishes - this is Sawn Thermal Finish which is smoother than the other finish - known as natural cleft. Blue Blue Bluestone is a popular walkway and patio stone and is classified as a landscape stone. 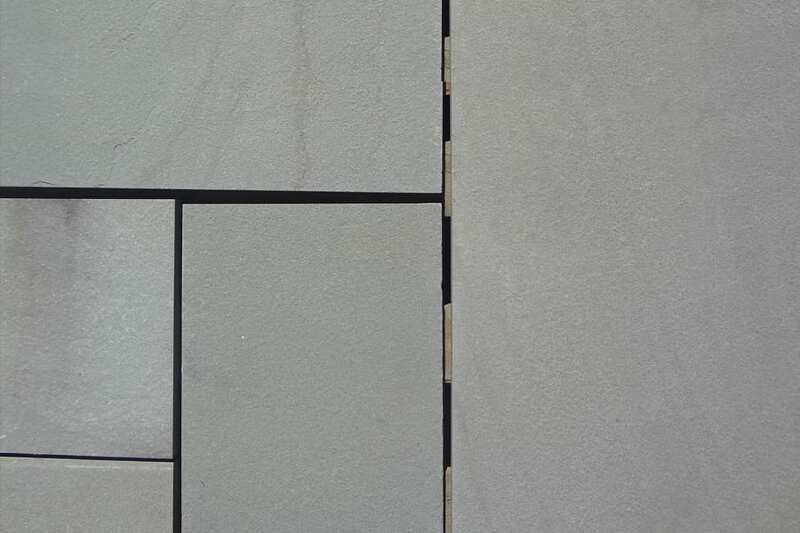 Two primary features distinguish Blue Blue Bluestone - the relatively uniform blue-gray color and the sawn thermal texture provides a uniformly smooth surface look. This is easy stone to work with. Why do you call it blue-blue color?